"Bitcoin Heist" is an action-packed digital heist movie that showcases Vietnam's modernity. Truth be told, Bitcoin Heist is the first Vietnamese movie I’ve seen. Despite having a population of 90 million, Vietnam has only recently started making blockbusters that can hold their own against imports, thanks in part to returning diaspora talent. Bitcoin Heist appears to be part of that trend. Helmed by Vietnamese-American director Ham Tran, the film is a rollicking action-thriller that showcases a vibrant, modern Vietnam in the process. Bitcoin Heist is like a combination of Ocean’s Eleven and Now You See Me, but with bitcoin. The film’s main character is Dada (Kate Nhung), an Interpol agent who assembles an unconventional team of criminals in order to nab a digital currency-laundering mobster called “The Ghost”. Dada’s team includes a middle-aged forger and his cat-thief daughter, a mob accountant, a female hacker/pro-gamer (played by rapper Suboi, who once performed for Barack Obama), and a flamboyant magician/pickpocket (played by Vietnamese-Australian Petey “Majik” Nguyen, who’s an actual magician). You definitely don’t need to be a digital currency enthusiast — or even know what bitcoin is — to enjoy Bitcoin Heist. If anything, the usage of bitcoin as a plot device is more a signal of the film’s aspirations at modernity. Such aspirations are, intentionally or not, reflective of Vietnam’s own. After three decades of economic liberalization and “socialist-oriented market economy”, Vietnam is starting to imagine itself within the same club as economically ascendant, technologically advanced Asian countries like South Korea, Japan, and Taiwan. Being a member of this club requires a certain level of cultural sophistication, a certain cosmopolitan lifestyle. The presence of bitcoin is just one of many factors that makes Bitcoin Heist feel slick and cosmopolitan. Thanks to a German-Korean villain and diaspora cast members, Korean and fluent English sprinkle regularly throughout its dialog. 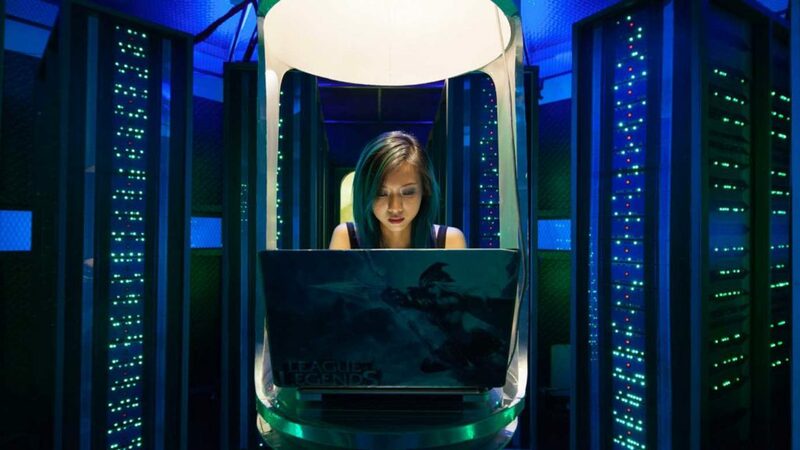 The film jumps between luxury hotels, opulent mansions, and internet cafes (filled with manga and League of Legends memorabilia) — physical spaces that harken of Seoul, Tokyo, and Taipei. In fact, the last thirty minutes of Bitcoin Heist were filmed in Taipei (specifically the Shisanhang Archaeological Museum, Danshui Harbor, and Xinyi District). If the film didn’t explicitly call this out, and if I wasn’t Taiwanese, I might not even have noticed the difference. Overall, Bitcoin Heist feels modern because it has high production quality. Though its plot isn’t necessarily original and at times suffers from ambiguities, Bitcoin Heist more than holds its own against equivalent thrillers from Korea or Taiwan. The film never has a dull moment, and its ample action scenes look well put-together. I felt thoroughly entertained throughout the entire movie. As modern Vietnam’s first foray into heist films, Bitcoin Heist has its flaws but ultimately comes charging out ahead as a positive sign for the future of Vietnamese cinema. Bitcoin Heist (Vietnamese: Siêu Trộm)–Vietnam. Dialog in Vietnamese, with some English and Korean. Directed by Ham Tran. First released February 2016. Running time 1hr 50min. Starring Kate Nhung, Thanh Pham, Petey Majik Nguyen, Suboi, Jayvee Mai The Hiep, and Lam Thanh My. Bitcoin Heist is now available for streaming on Netflix or purchase on Amazon.